Every summer there are thousands of families who look for a good value short break beside the seaside. The Northumberland coast is an area of Outstanding Natural beauty and with its beautiful sandy beaches it is popular with families. Fortunately there is usually plenty of choice when it comes to booking accommodation. Traditionally the houses were built a little bit back from the sea. However this doesn’t mean that there aren’t houses within walking distance of the beach. The problem is that they are usually booked up. For late availability it is better to search a little in land. If you can find a cottage in Alnwick then you will not only have good shopping and easy access to Alnwick Castle but you are also just 5 to 10 minutes drive from Alnmouth with its lovely bay and quaint shops. The position is similar to that for holiday cottages but there is an added bonus. Historically there were some very wealthy families with land and property in Northumberland so you have a legacy of wealth and good housing. Look for a B&B in an older up market house. You will get good value and a touch of quality. There are a lot of small villages and towns around the Northumberland countryside so it is worth looking around. The majority of the coastal hotels are built with the seaside tourists in mind. They will tend to be privately owned as opposed to being part of a large chain. As such you will rarely see late availability deals posted on line. You are better to just call them and ask. 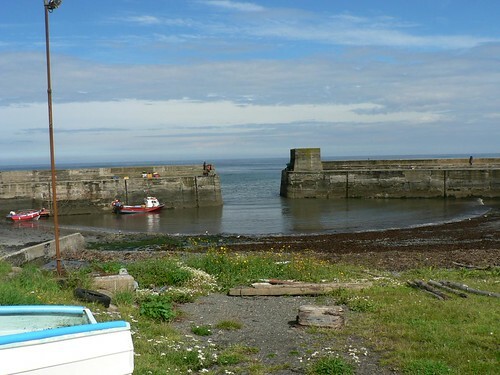 There are good quality caravan sites along the coast as well as few inland. Some of these have static caravans or wigwams for hire. Again you will tend to find that late availability is not always advertised so call them up. 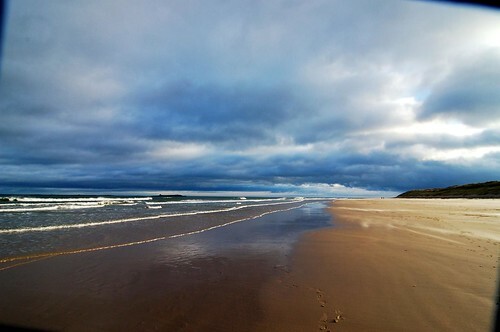 The sandy coast between Seahouses and Bamburgh. Article written by Mike Holly who has been checking on cottages in Carcassonne.